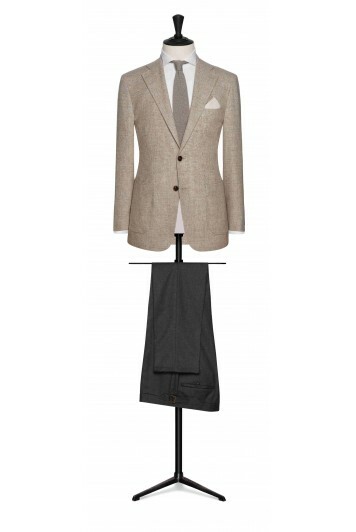 Our made to measure blazer range gives you the freedom create your own unique look. 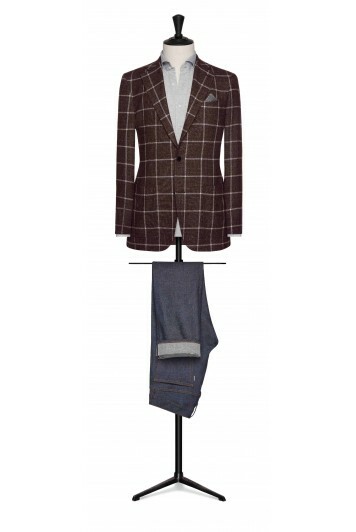 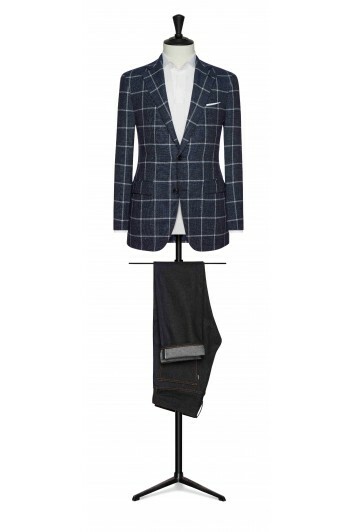 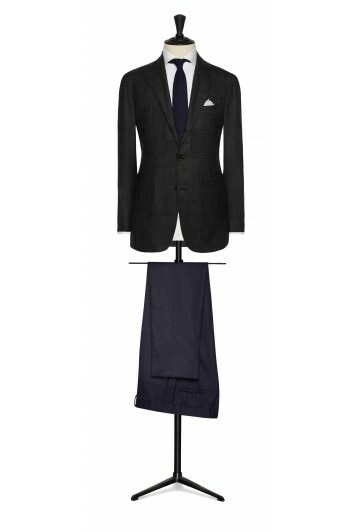 A sports jacket and matching waistcoat with contrast trousers or maybe a classic navy blazer and flannels. 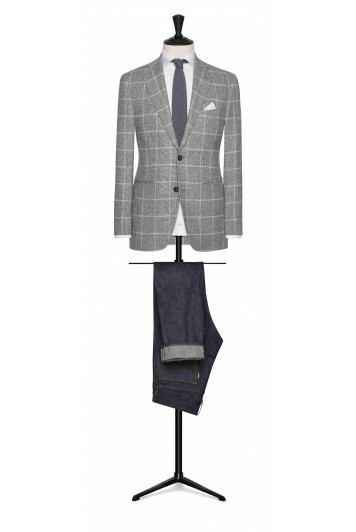 You can create your own stunning & unique outfit. With cloth from Europe's leading fabric houses including Holland & Sherry, Dugdale, Dormeuil & Loro piana, you have 1000's of fabrics to choose from. brown-beige wool-silk-cashmere with blue windowpane. burgundy-midnight blue wool-silk-cashmere with blue windowpane. slate blue-midnight blue wool-silk-cashmere with brown windowpane. dark brown sharkskin with blue windowpane. forest green sharkskin with blue-brown windowpane. slate blue sharkskin with blue-brown windowpane. bright blue-midnight blue wool-silk-cashmere with midnight blue windowpane. dark brown-black faux uni wool. 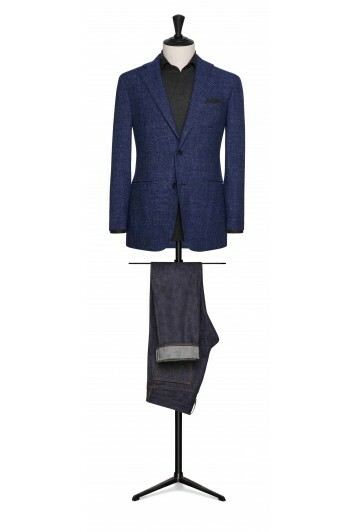 mid blue-midnight blue wool-silk herringbone. ocean green-black faux uni wool. dark brown-light brown wool-silk herringbone. mid grey mouliné with white windowpane. navy mouliné with white windowpane. light brown wool-alpaca glencheck with light grey windowpane. blue wool-alpaca glencheck with dark blue windowpane. brown houndstooth with baby camel hair. 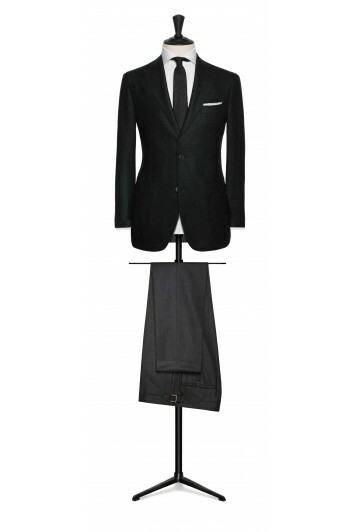 forest green mouliné with white windowpane. mid blue-slate blue wool glencheck. 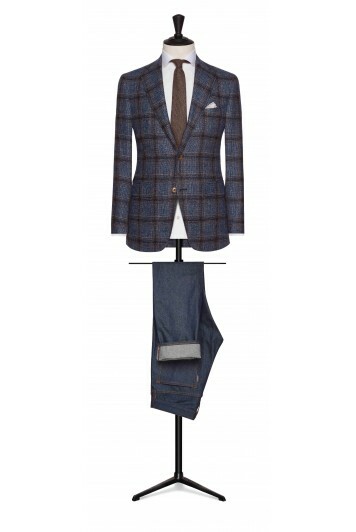 dark brown alpaca-wool bouclé glencheck with light blue windowpane. forest green alpaca-wool bouclé with blue windowpane. burgundy mouliné with white windowpane. midnight blue alpaca-wool bouclé with bright red windowpane. camel-dark blue houndstooth with baby camel hair.